For a more relaxing and environmentally friendly form of travel for you and your family, book tickets for Eurostar, TGV, SNCF, Motorail and Snow Train services. With minimal check-in time and good luggage space, the train is also very convenient. The French rail network is fast and efficient, with easy connections, so enjoy the passing scenery and a meal or drink as you travel, then arrive feeling relaxed. We’ve teamed up with Voyages sncf, the UK’s leading supplier of rail travel into France and Europe, to make it simple to take the train and bag the best value fares. Use our France by Train guide and with a single booking you can get to France and travel onwards within France and to Spain, Benelux, Italy & Switzerland. Combine Eurostar with the TGV, book travel on SNCF and the Metro, arrange to take your car by Motorail or your skis on the Snow Train right through to the slopes. You can even buy tickets for train excursions while you’re staying in France. And of course if you need to arrange accommodation for your train trip to France you can do it all from French Connections; find a holiday rental, gite or farmhouse, or book a hotel in France. Speed from the centre of London direct to the heart of Paris, Eurodisney and other French cities on Eurostar. Regular, reliable trains now leave London St Pancras, Ebbsfleet International and Ashford International in Kent, with easier access from the rest of the UK. Journey times are fast and great deals can be found. Eurostar trains are an easy, convenient and pleasurable way to travel. Trains can speed you direct from London or Kent to several French city centres, Disneyland Paris or the French Alps. You’ll enjoy excellent service and regular, reliable trains – and with no long check-ins or tedious airport transfers, Eurostar can prove faster than flying. Leave from London St Pancras, with its train and tube connections from across the UK, Ebbsfleet International in Kent, easily accessible by car, or Ashford International and travel directly to the following destinations. Fastest journey time from London St Pancras to the Gare du Nord is 2 hours 15 minutes. From Ashford, under 2 hours. Eurostar Paris services run frequently every day. To the centre of Lille from London St Pancras in just 1h 20m. Eurostar from Ashford to Lille in under an hour. Regular daily service. Step on the train in London St Pancras and get off at Calais in just 1 hour or get on at Ebbsfleet and be there in just 50 minutes. Journey time is less than 2 hours 30 minutes from London or Ashford International. Trains leave daily from London at around 9.00am and from Ashford at around 9.30am. Return trains leave Eurodisney at approximately 7:30pm. Speed straight to the sunshine of Provence in just over 7 hours. Eurostar runs a weekly direct service during the summer months. From the end of December to the beginning of April go right to the heart of the French Alps on the Eurostar Ski Train. Eurostar Connections Fares are tickets which include a Eurostar to Paris, Lille or Marne-La-Valle with onward travel to 61 destinations in France. 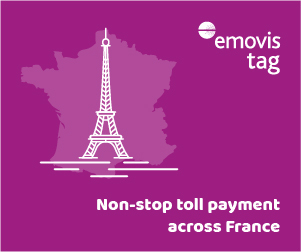 You can stop over in Paris, Lille or Marne la Vallee for up to 24 hours with a Eurostar French Connections ticket. The French rail network is considered to be one of the best in the world. It offers reliable, frequent trains that make for comfortable, civilised journeys – and at a very reasonable cost. There’s a great choice of high-speed, overnight and local trains reaching thousands of destinations and a range of on-board accommodation to choose from. Travelling at up to 320kph, the TGV train (Train a Grande Vitesse) whisks you between major French cities and towns. Travel TGV and you'll enjoy reserved seats and all the on-board comforts of these superb, modern trains. These luxury long distance trains are designed to meet the needs of families, business travellers, regular travellers cyclists and tourists alike. Children’s areas, bicycle facilities and modern comforts in all classes make travelling on Corail Téoz trains a pleasure. You can choose your seating option, but all seats must be booked in advance. In general these run on the routes not served by Corail Téoz or TGV, and a reservation is usually not required. Corail Intercités trains are comfortable but they do not offer special facilities for families or bicycle storage. Take TER trains to travel short distances in comfort at an affordable price. Most trains offer standard and first-class and there's no need to book. TER runs between major cities and towns and stops at smaller destinations. The French Riviera service aims to relieve rail and road congestion along the coast. These trains travel overnight from Paris on main routes through France, allowing you to sleep in comfort while the train carries you to your destination. On-board accommodation ranges from reclining seats to standard class couchettes in 6-berth compartments and first-class couchettes in 4-berth compartments. You'll need to book in advance and women-only and family couchettes are available. The train de grand vitesse – fondly known as the bullet – travels at speeds of up to 350 km per hour to reach some 70 towns and cities in France. The extensive TGV network radiates from Paris, making it easily accessible. Eurostar Connections tickets allow you to travel to Paris by Eurostar and onward by TGV to 61 destinations across the country. The TGV high speed train operates at speeds of up to 350km/h, linking over 70 main cities in France. Reservation is compulsory and booking opens 90 days before the date of departure. On board, there is a bar-buffet car where customers can purchase drinks and hot or cold meals, along with vending machines. On some TGV trains there is a family space and nursery available in standard class. The family seating area consists of 4 seats around a foldable table with a games board. The nursery is located close to the family space, allowing both parents and children to enjoy their journey. These tickets include the Eurostar train to Paris, Lille or Marne-La-Vallee together with onward travel to 61 destinations in France – and you can stop over in Paris, Lille or Marne la Vallee for up to 24 hours. There are seven main terminal stations in Paris, each serving a different area of France, and some with trains travelling to other parts of mainland Europe. Use our guide to find out which terminals you need for your journey and how to transfer easily within Paris. You can even take in some sightseeing en route! If your journey necessitates a connection in Paris, you'll probably need to change to a different terminal station. This need not be daunting if you check the station you need and plan your transfer in advance. The Eurostar arrives at Gare du Nord, which is a walk away from the Gare de l'Est. Taxis are also available from the Gare du Nord, or you can jump on the Metro to any of the other Paris stations. Remember that a Eurostar Connections ticket allows you to stay in Paris for up to 24 hours, so you can take in some city sights before moving on. Operates in Zone 1 of central Paris and serves all the Parisian station terminals. The service is similar to the London underground, with frequent stops on a network of lines. There are two Eurostar Direct Ski trains that run weekly during the winter from London St Pancras or Ashford International stations direct to 3 stations in the French Alps: Moûtiers, Aime La Plagne and Bourg-St-Maurice. The overnight service (Jan to Apr) leaves the UK on a Friday night and arrives in the heart of the mountains early on a Saturday morning. The high-speed day service (Dec to Apr) arrives in just 7 and a half hours, travelling throughout the day on a Saturday. Take a Eurostar to Paris or Lille, then a connecting French day or overnight service to the heart of the mountains. Many high-speed day trains and overnight trains from Paris operate daily during the winter months. Overnight services offer reclining seats or flat-bed couchette accommodation for a more comfortable journey. High-speed day services over connections with regional trains to provide a comprehensive and flexible service to the Alps. Eurostar trains can be booked 120 days before departure and most other European trains 90 days before departure. French trains normally go on sale in mid-October for travel from mid-December onwards. Research carried out by Eurostar shows that passengers who go by rail between London and Paris generate ten times less emissions of the greenhouse gas carbon dioxide (CO2) than travellers who fly. Planes also consume a lot of fuel on take-off and landing, increasing their energy consumption on short journeys, such as from the UK to France. Each passenger in a train uses five times less fuel per kilometre than each passenger in a car – and reduces the number of cars on the road and hence pollution and congestion. Travel by train with a clearer conscience! St Pancras, Ebbsfleet and Ashford International are easily accessible and you’ll avoid long check-in queues, extra charges for baggage and flight duty. With the recently completed high speed rail link now in place, it’s even faster to get to Paris and other destinations using the Eurostar train service to France, with some excellent fare deals. London St Pancras to Paris takes 2 hours 15 minutes and there you can connect with TGV trains to the rest of France and SNCF trains for all types of journey. The French rail network is fast, efficient and good value for money. See more of French towns and countryside than you would from a plane and even as a car passenger on the motorway. Eurostar services allow you to travel direct from the UK to Avignon in sunny Provence, taking in changing scenery and weather as you travel south. On Motorail drivers can relax while their car heads for the sun without using petrol. You can eat on board the train, comfortably read, stretch your legs and sleep in a cabin. Arrive feeling refreshed and ready to start your holiday.